I have heard all sorts of stories about this piece of 'public art" including a claim that it suddenly appeared and that no one knew who was responsible. 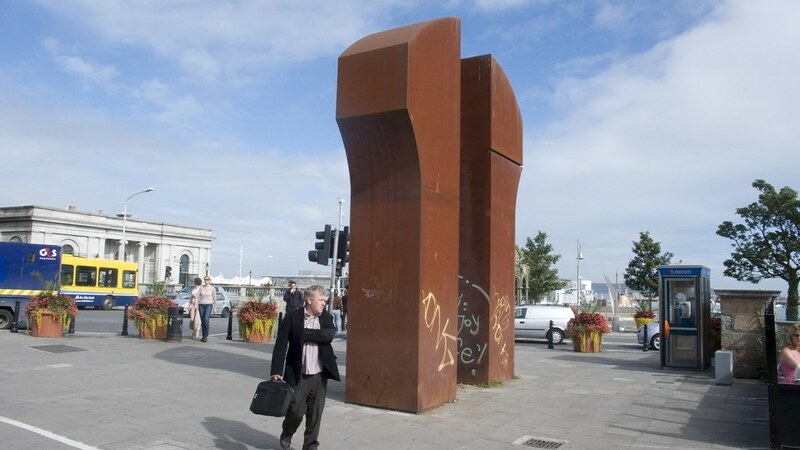 The controversial Gateway sculpture that has cast long shadows over the streets of Dun Laoghaire for six years was removed towards the end of April 2009. The monument was dismissed as an eyesore by many. Situated close to the Victoria Fountain and Dun Laoghaire/ Rathdown County Hall, the six metre high structure was made from corten steel which has a very rusted look. Sadly it was a frequent target for graffiti artists and some council members have continually fought for its removal for this reason. The Gateway was conceived by Wexford artist Michael Warren. He donated the sculpture as part of the artwork for the Pavilion Theatre development on Marine Road in 2003. At the time he said: "Both in terms of its structure and proportioning, my sculpture for Dun Laoghaire is entirely classical." The artist has produced large scale site-specific sculptures in the United States, Europe, the Far East, the Middle East and the French West Indies. 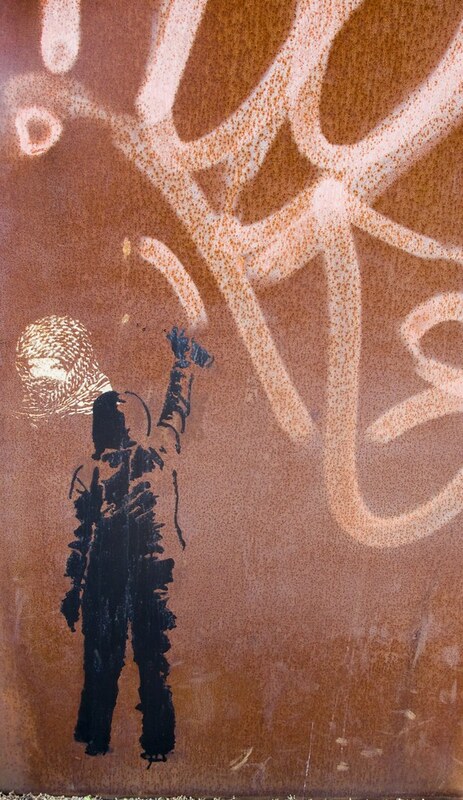 He has exhibited extensively in Ireland and abroad. In 1989 he was commissioned to make a sculpture for the Olympic Sculpture Park in Seoul, South Korea. However, the people of Dun Laoghaire weren't impressed. He has a number of very visible works in Ireland, including the large sweeping wood sculpture in front of the Dublin Civic Offices. Wood Quay, where the civic offices stand, was the centre of Viking Dublin and the sculpture evokes the form, and the powerful grace, of a Viking ship. It also reflects vertically the horizontal sweep of the nearby Liffey as it enters its bay. A complex balance of meanings matching a delicate, though massive, balance of substance is typical of his work. Warren himself describes the useful ambiguity of abstraction (Hill 1998) "Whatever you might intend a form to suggest, people will find its significance from within their own culture, so that something that is read as a reference to Viking longboats in Dublin, is seen as evoking the art of calligraphy when viewed in Japan"
With Roland Tallon he created Tulach a' tSolais (Mound of Light), a memorial to the 1798 rebellion. Here, a room was hollowed out of a small hill; the room contains two abstract curved oak forms and is illuminated by natural light falling through a long slot in its ceiling and walls. Despite the unusual and abstract constitution of this memorial and despite the fraught political resonance of the rebellion, Tulach a' tSolais is popular and something of a local attraction. His Gateway in Dún Laoghaire is less popular with some local people calling for it to be removed.